Could the M27 solve some small arms problems for the Army, Marines? 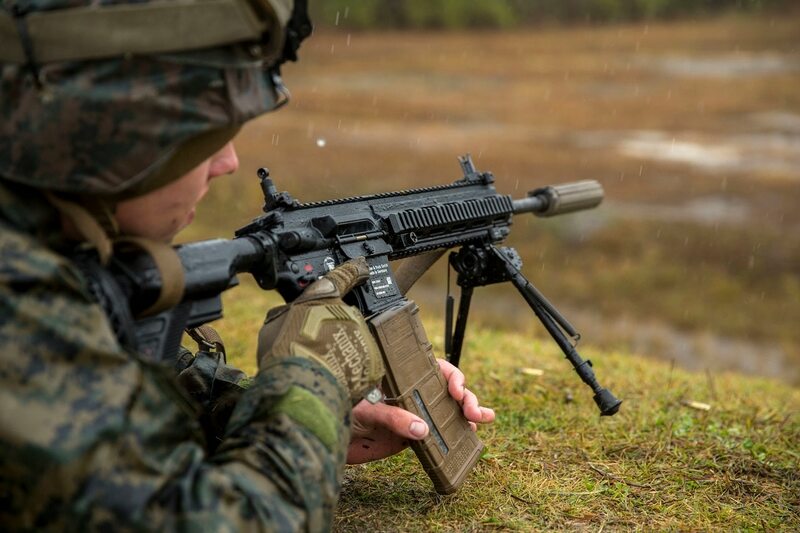 LAS VEGAS, Nevada — The Marines have been using the M27 as their Infantry Automatic Rifle in some form for many years now, but should the Corps decide to push forward, the weapon has the potential for a more versatile future. The M27 is the military version of the H&K 416. The company makes the rifle in 5.56 mm for the Marines, who are using it to replace the M249 light machine gun at the squad level. And a new version of the weapon, the M38, is being fielded as the squad’s Designated Marksman Rifle. Could more be in store? H&K designed versions of the platform in at least two 6 mm-range rounds years ago, a company official said. Both of those could be dusted off to give the Army something to look at, since officials with the Army Maneuver Center of Excellence’s lethality branch have said they are evaluating many “intermediate caliber” rifle rounds in the 6 mm range as possible replacements for the standard 5.56 mm round. Soldiers could see a new rifle and larger round in a few years. Another Marine Corps need is the Suppressed Upper Receiver Group, a program that was started, stopped and restarted. The program aims to integrate the suppressor with the barrel and receiver, cutting back the length problems that come with external suppressors. The Marines have said they want an integrated suppressor for their rifles. Chief Warrant Officer 5 Christian Wade, 2nd Marine Division’s gunner, spent some of last year experimenting with suppressed infantry squads as part of the overall makeover of the infantry arm of the Marine Corps. 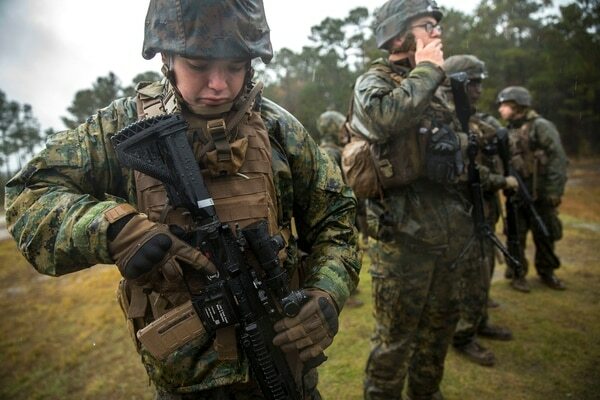 An M27 platform with an intermediate caliber round and an integrated suppressor could be a ready-made, off-the-shelf solution to multiple small arms problems being studied by both the Army and Marine Corps. In addition to the M27, H&K also won the contract to provide the Army with its Compact Semi-Automatic Sniper System, or the M110A1, in 2016. That rifle is a 7.62 mm sniper rifle that also can be converted to a 6 mm-range rifle.